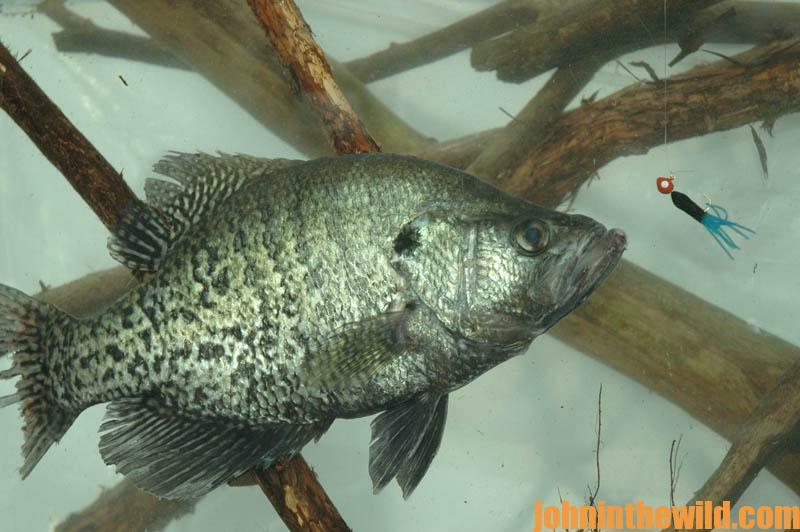 One of my favorite places to catch crappie with a jigpole was in a small stream that fed Weiss Lake on the Alabama/Georgia border when I lived in Rome, Ga. The stream’s water came from an industrial-plant discharge. You almost could hop across this creek, and there was a small bridge over it, about 1/2-mile from the main road. About 20-yards below the bridge was a small peninsula sticking-out into the creek. As the water came around the point, it formed an eddy hole just below the peninsula. 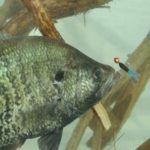 Because I wanted my jig to swim about 1-foot under the water, I used a small cork above the jig. Then I used my B‘n’M jig pole (https://www.bnmpoles.com/) to swing the jig and the cork upstream of the eddy hole. 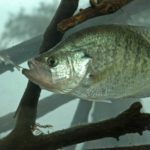 Each time, the jig swam with the current and came around the point of land, just before it reached the calm eddy water, the cork sank, my pole bent, and I’d drag another big crappie onto the bank. 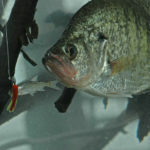 The little eddy hole wasn’t very large, but the crappie were really stacked in there. 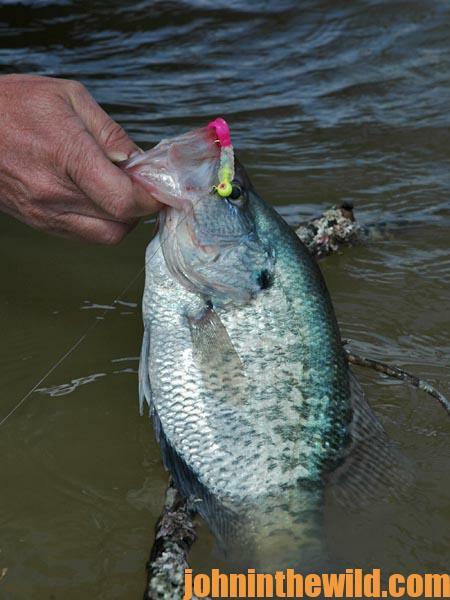 Every time the jig reached the calm water, a crappie attacked. 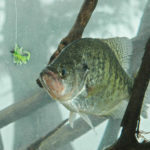 When the bite stopped, I changed the color of the 1/16-ounce jig I was fishing and started catching crappie again. 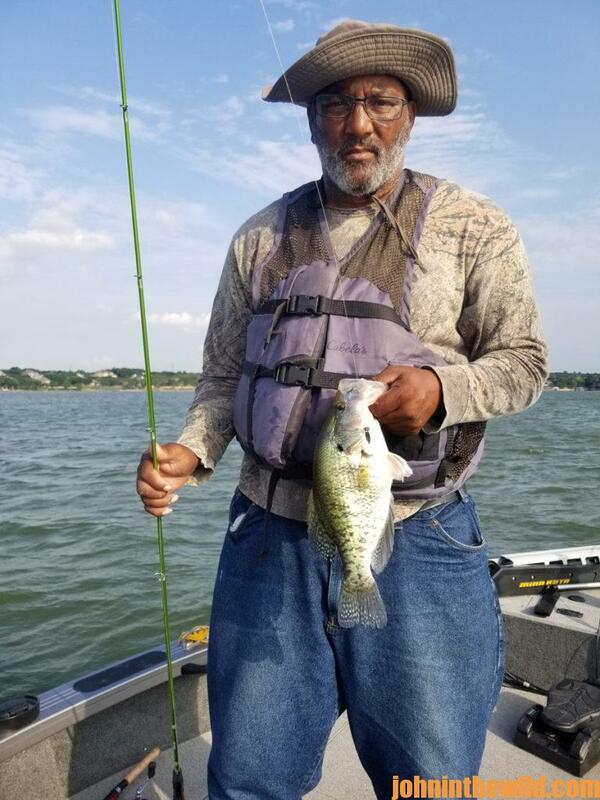 I learned from that experience that throughout most of the year, if you could find a warm-water discharge early in the spring and an eddy hole just off the current, you can catch some of the first spawners with a jigpole without having to fish from a boat. In Livingston, Alabama, where I attended the University of West Alabama (https://www.uwa.edu/) the spring and summer were always hot. While attending the university, in-between classes and after school, I often fished the Sucarnochee River outside of Livingston on the way to York, Ala. The Sucarnochee River usually was cooler than the Tombigbee River that was about 20-minutes away. I could walk the banks of this small stream, look for eddy holes and use my jig pole with a 1/16- or a 21/32-ounce jig and catch enough crappie to eat for supper. 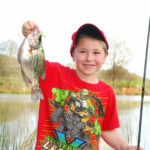 The advantage of using a jig pole is you don’t have to carry live bait, and it’s simple to use. 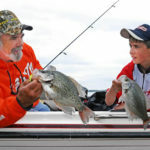 You can swim the jig at any depth simply by moving the pole, and most often the crappie will come within 2 feet of the surface to take your jig. 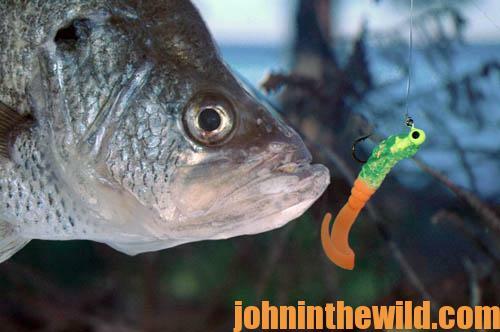 The only problem with fishing small creeks, streams and eddy holes is bass don’t understand your jig’s intended for crappie. When you get a 3- or a 4-pound bass on 4-6 pound test line and a limber jig pole, that fish will test all your angling skills. 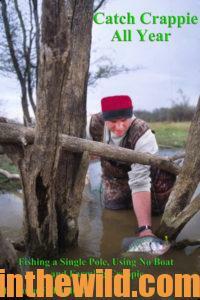 You can have fun catching those bass in the little creeks, but crappie is the main target.